In one sense, this automotive sedan chair is tiny, reaching a maximum of 2 cm (0.8 in) long. In another sense they're huge! 100 times bigger than most other mites. By far the most famous of these mega-mites is the Giant Indian Velvet Mite, Trombidium grandissimum. There are lots of other Velvet Mites around the world, all comprising the Trombidiidae family and reaching a whole range of sizes. However, only the Indian one is graced with dozens of common names that translate to things like Rain's Insect, Scarlet Fly and Bride of the Seafarer. Sounds like this living plushie is named for romance! 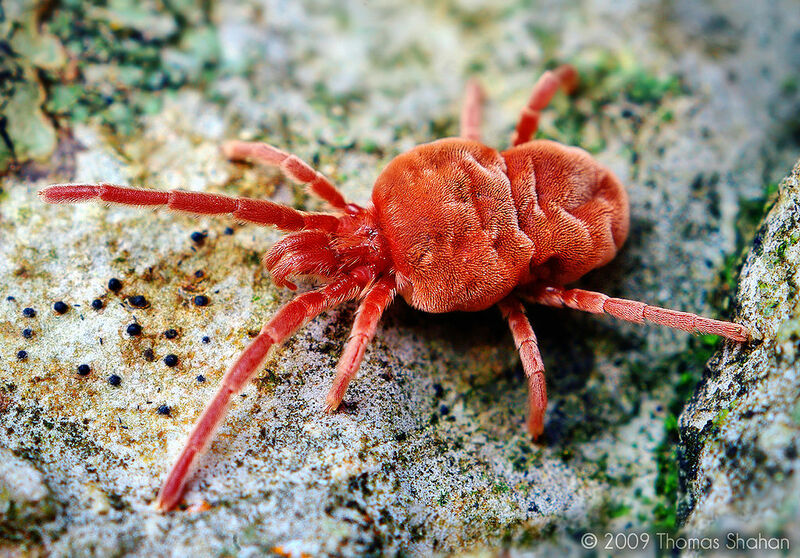 The Giant Indian Velvet Mite comes from where it says it does, particularly in dry areas. Loads of them pop up from the soil after the monsoons and can be seen scrambling around all over the place like lovely walking pillows. But like most pillows, they have a cold, dark side. They are arachnids, after all! Velvet Mites are predators, feasting on other invertebrates and their eggs by way of their strong, pincer-like mouthparts. They're pretty good at keeping the pests off your plants, but they don't rise above a bit of cannibalism, too. 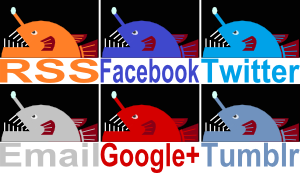 They have 2 puny eyes at the end of stalks but they probably find prey by sensing chemicals and vibrations. Out for a nice, relaxing walk. It's back to fluffy romance when it comes to mating rituals, where the male and female do a little circling dance together. He also makes a silk path along the floor to lead his lady to a deposited spermatophore. Utterly charming! Unless a rival male discovers it first. He'll tear up the spermatophore and drop his own instead. They call it love and war. 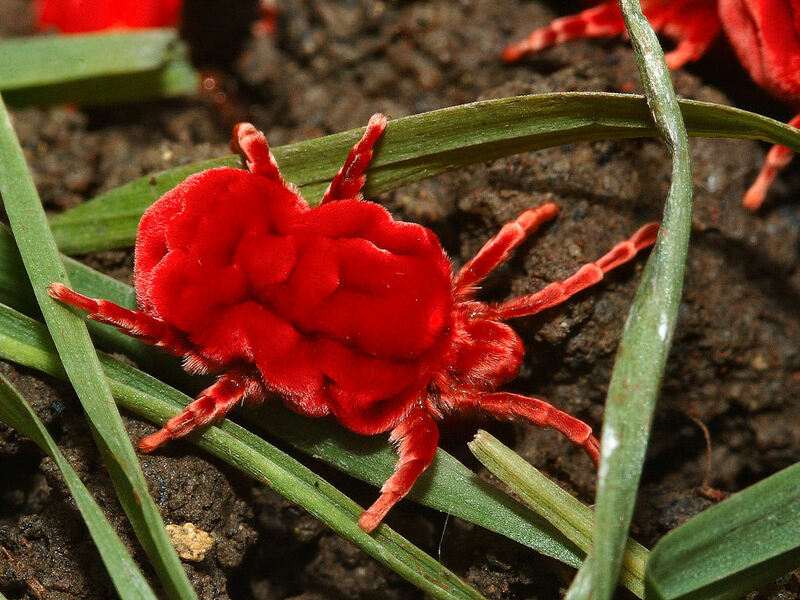 Unfortunately there isn't much charm to be seen in a baby Velvet Mite. After eggs have been laid in soil and a couple months have passed, a strange lifecycle begins. 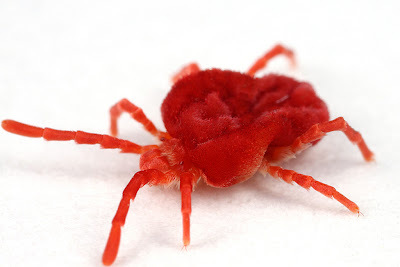 What first emerges from the egg is a larval Velvet Mite. It has 6 legs instead of 8 and climbs up onto an insect. They then grab on, drill into the exoskeleton and start drinking the haemolymph inside. They're dastardly, blood-sucking parasites! Hosts can still walk or fly around, so the little mites can travel far and wide before they drop off in brand new territories. Next is the protonymph stage where they lie dormant like a pupa. Third is the 8-legged deutonymph. This one is active, hungry and predatory, much like an adult. Then there's the tritonymph, who lies dormant again as if they've tired themselves out and wish they could go back to being a parasite again. A kind of mid-life crisis. At last, the adult can finally emerge. It sounds a bit like "life begins at 40", but better because they have proper dormant stages for thinking about stuff and preparing for the next step. All we get is mental breakdown. 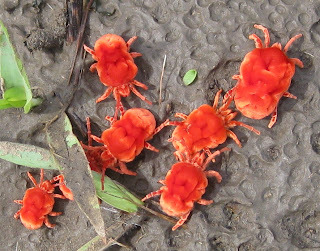 A load of Red Velvet Mites being weird. In any case, adult Giant Velvet Mites would clearly make for a delicious meal for all sorts of animals. I mean, they look like a fuzzy strawberry! They get out of trouble because they simply taste horrible. They also secrete antifungal oils and even their haemolymph has antifungal properties. The thing with us humans is we eat quite a lot of horrible things. Some of them are just poisonous, but some can at least convince us that their nasty taste is caused by amazing medicinal properties. People in India have been using Trombidium grandissimum as a medicine for centuries. Probably the main reason the Giant Indian Velvet Mite has so many names. Apparently it's supposed to be particularly good for diseases that cause paralysis and also for increasing sexual desire. It makes me wonder if it helped a guy's paralysis and there was one thing he wanted to do just in case the effect started to wear off. Still, oils from this particular Velvet Mite have been tested and it seems that it really does increase immune response. Quite remarkable for a murderous, parasitic, velvet cushion on legs! And I still think +1 Health = +1 Sexual Desire. well, glad they have some medicinal qualities. Indeed! Also that they're so cute and cuddly right? Wouldn't it be nice if we had these red fluffy mites in our beds instead of the boring old tiny dust mites? Err.. maybe not. Ha! The squish would be several orders of magnitude larger if you sat on one. I think that would be quite a problem. Hey, that's great! It's lovely how active they are! Awesome article! I've never seen such an interesting description of a lifestyle (it always seem different for every species). Also helps that they look almost cuddly indeed! Well, err...almost. Thanks a lot! I was amazed to learn of their lifecycle. I really must find out more about mites! 30! Wow! That's enough for a really nice bed! I never knew they were arachnids! Yup! Mites are probably the strangest of the since they break some of the arachnid rules! Are these dangerous to our home or not? I can't really tell. It was quite a surprise to see this little friend on my foundation wall today. Not especially a pleasing idea to think about mites on your home. HELP!